Plumas-Sierra Rural Electric Cooperative still offers rebates to help offset the cost of installing new air- and ground-source heat pumps. 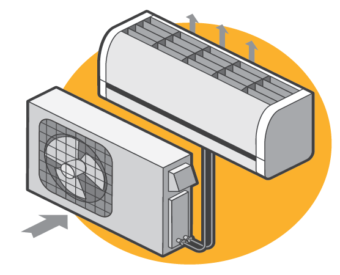 Heat pumps are a proven alternative to standard heating and cooling systems. They operate efficiently because they move or transfer heat instead of creating it, while providing three to four times more energy than they consume in electricity, according to the U.S. Department of Energy. 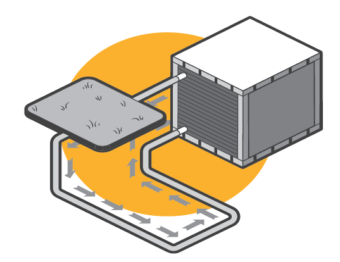 Compared to electric resistance heaters, air-source heat pumps typically use 3,000 less kilowatt-hours a year (or $420), according to the Northeast Energy Efficiency Partnerships. When compared to oil systems, the savings are even greater at 6,200 kWh (or $868). Despite the more expensive upfront cost, the U.S. Department of Energy says heat pumps can reduce overall home heating and cooling costs as much as 40 percent. 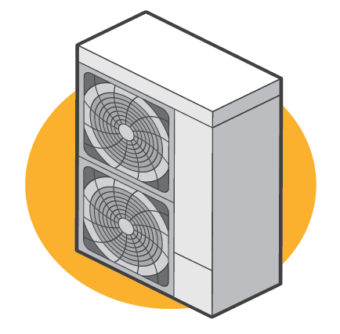 When shopping for an air-source heat pump, compare heating seasonal performance factor (HSF) for compressor and heating strength and the seasonal energy efficiency rating (SEER) for cooling abilities. HVAC rebates depend on both of these numbers meeting certain minimum requirements. Building permits may be required for energy-efficiency projects. Contact your local building department prior to beginning work. We encourage your participation in the program, and look forward to continuing to offer our members energy efficiency rebates. Visit our Energy section or call 530-832-4261 to learn more. PSREC does not endorse contractors. 10 to 25 F, you will need an auxiliary heating system (depending on the size of the system).